Thanks to all who have contributed their favorite tomato recipes! All have been wonderful and I’ll be posting some of them over the next few days. and I was surprised to see how many of my Jewish friends emailed me some decidedly un-Kosher tomato recipes involving shellfish. Perhaps when Hannukah comes around, I’ll have to reach out to my religious Christian friends and ask them to stop planning Christmas dinner and help me out with some tips for the perfect latke. But yes, tomatoes seem to go very well with shellfish. 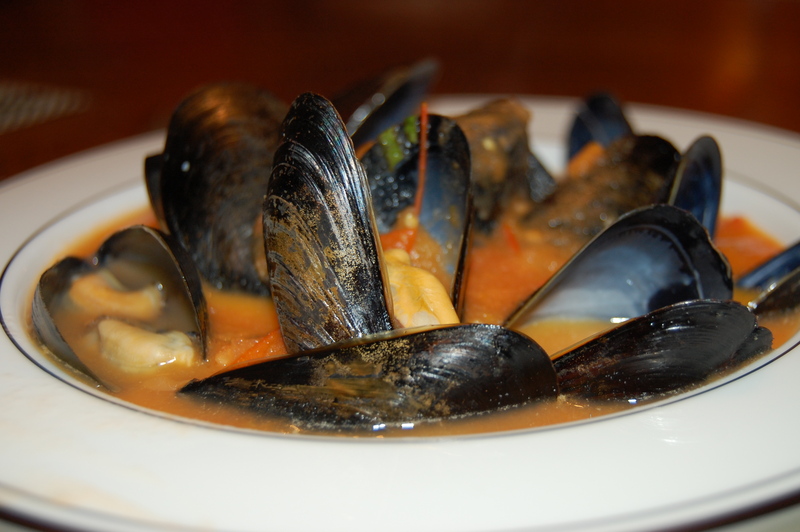 There are lots of recipes out there for red clam sauces and even Portuguese stews with clams and tomatoes. Some have hot pepper and sausages and other delicious things but the simplest seems to be the one that my sister and her husband made recently. They were even so kind as to email me some pictures. So, I think I’ll steal from the various recipes that people have sent and come up with a good general game plan. The important thing though, is that this time of year, many of us have access to local shellfish and much of it is sustainable. Shellfish brought in daily to the farmers market is simply one of the best foods we have available to us at any time of year. The farmers markets are also full of tomatoes right now and even if they aren’t as perfect as the ones from the middle of August, they are ideal with the briny taste of fresh shellfish. Don’t do too much and make sure you make extra for the next day. And also, after church on Sunday, start thinking about what you might want to eat at your Hanukkah party this year. Check in 3 minutes. Mussels are ready when they are all open. Discard any that haven’t opened after 5 or 6 minutes.